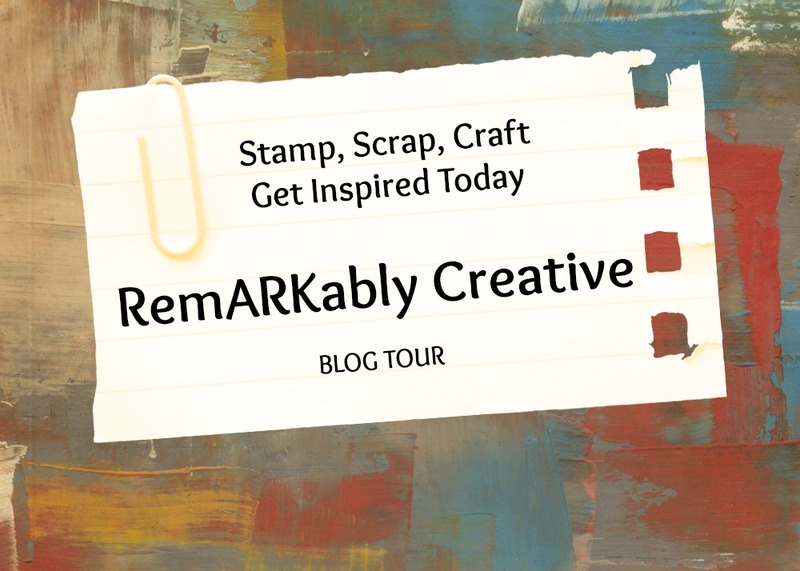 Remarkably Creative Blog Hop – Petal Palette Bundle! I’m super excited to show you more product from the 2018 Occasions Catalog. Today you are joining me on the blog hop through the Occasion Catalog checking out the bundles. I have chosen my favorite bundle so far (I don’t have them all!) to show you. It’s called the Petal Passion Suite on pages 22-24. 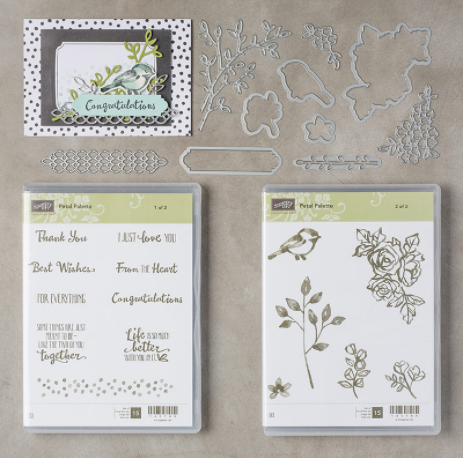 This suite has a stamp set, thinlits, designer series paper, Memories & More cards, embossing folders, embellishments and ribbon! It has it all! 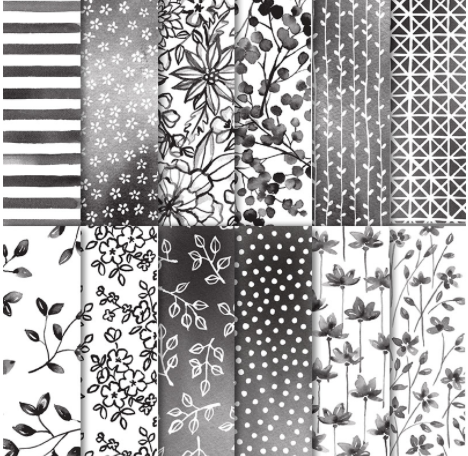 I know you are going to fall in love with the simple black and white designs like I have. Here’s the card I’ve come up with today. Instead of using the Designer Series Paper, I used Memories & More cards. I stamped on top of the pink one using the stamp set. I also stamped the flower using Memento Ink and cut it out with the thinlits so that I can color it. 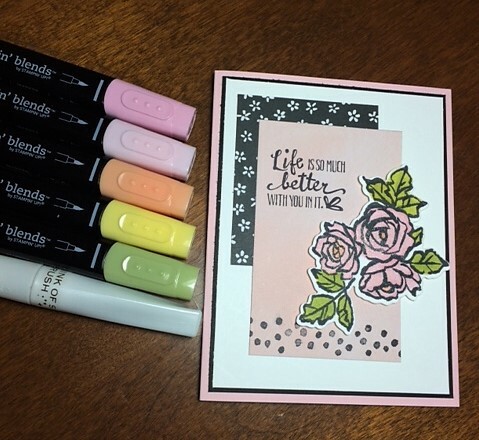 This stamp set AND dsp is perfect for coloring with the Stampin’ Blends. 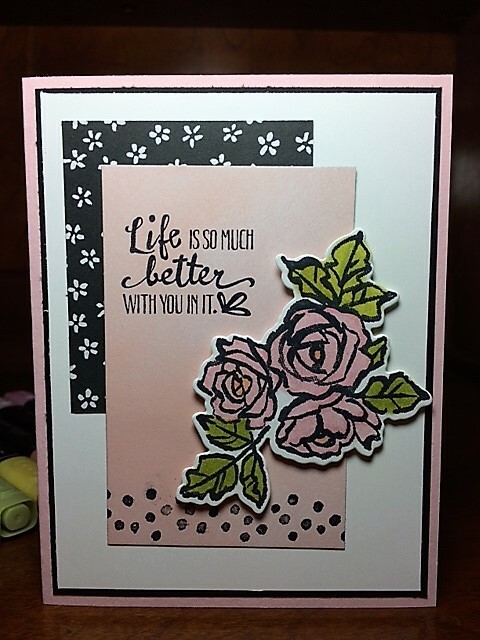 If you do not have the Stampin’ Blends yet then consider joining my Marker Club. It’s a fun alternative to buying the whole set at once. Contact me for more details. However, if you’d like to purchase the whole set ($121.50) then consider joining my team and getting $125 worth of product for only $99 AND during Sale-A-Bration, you can receive 2 FREE stamp sets of your choice (not including SAB items) all with FREE shipping! From then on, you will get 20% off all your purchases. Thank you for joining our blog hop today. Hop along to everyone on the list and check out the amazing products they’ve come up with for more ideas on spending in this new catalog 🙂 Scroll to the bottom to see a product list of what I’ve used today. 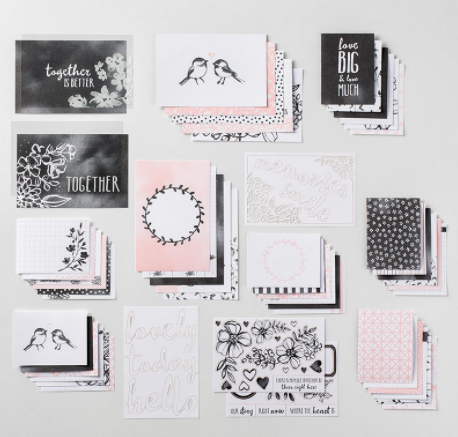 Categories: 2018 Occasions Catalog/SAB, Blog Hop, Cards, Memories & More, Stampin Up!, Stampin' BlendsTags: BFF Stampers, cardmaking, occasions catalog, papercrafting, Stampin Up! Thank you, I can’t stop coloring stuff now. 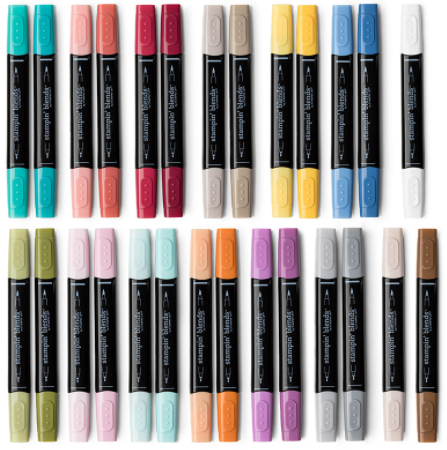 These blends are amazing! Sooo pretty! Thank you for sharing ! Great job with the stamp set and the pretty coloring! I love how the Memories & More Card Pack provides a great background on your beautiful card. Thank you. These cards are great! Thank you. I am loving the blends. One of my favorite bundles in the occasion catalog as well. It really is beautiful and very versatile.